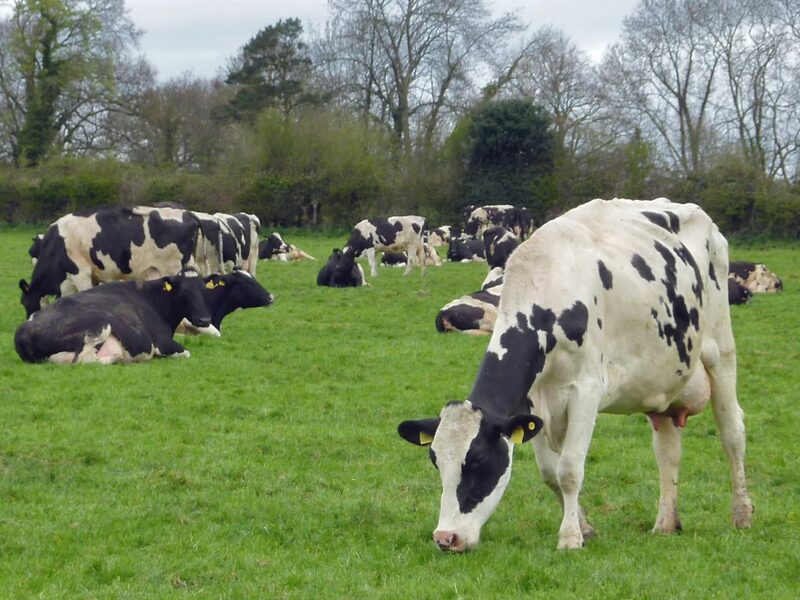 The average Irish milk price in May was 22% lower than the same month last year at 28.75/100kg. According to the latest figures from the European Commission’s Milk Market Observatory the fall was the tenth highest in the EU over the 12 month period. 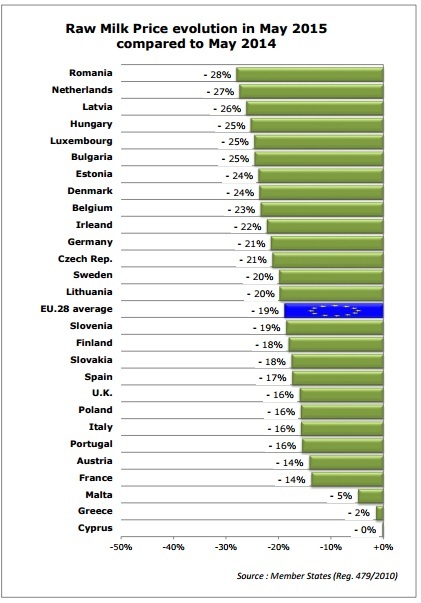 Other countries to see significant falls included Romania (28%), Netherlands (27%), Lativa (26%) and Denmark (24%). The May EU weighted average milk price stood at €30.48/100kg, down €0.82/100kg (2.6%) on the previous month. Compared with the previous year, the weighted average EU price for May was down €7.05/100kg (18.8%), this was a decrease on the year of 8.83ppl. 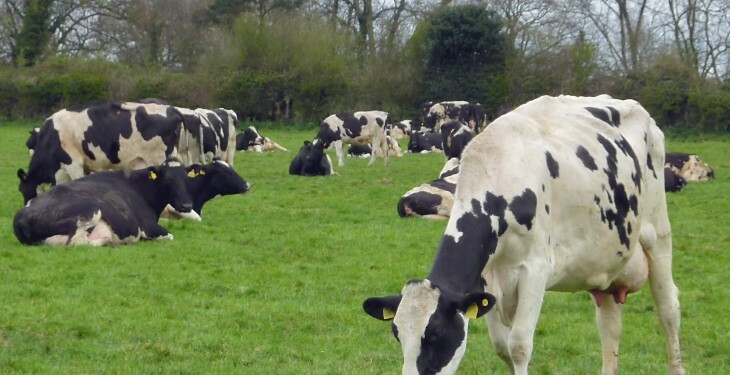 The EU15 weighted average price stood at €30.98/100kg (23.06ppl) in May, €0.76/100kg (2.4%) down on April, and was €7.23/100kg (18.9%) lower than the May 2014 average. Looking at the top five milk producing countries for this month (Germany, France, UK, Netherlands and Italy), the average May price was €31.72/100kg which was a €0.65/100kg (2.0%) decrease compared with the previous month. Despite lower milk prices, EU milk deliveries in 2015 are expected to be nearly 1% above 2014, according to the European Commission’s latest outlook for the dairy sector. It means that after the 1.2% decrease observed in the first three months of the year, until quota expiry. EU milk collection could increase by 1.6% compared to last year, in the remaining months of the year. However, according to the Commission outlook very different developments can be observed in the different Member States, with a few countries where milk collection increased strongly from the first day after quota expiry, while in other countries no such development is observed.